Makeup envy is the worst. Nothing is more frustrating than hearing an amazing brand being raved about by every beauty addict on the planet, but their range isn't easily available in your country. At least without the shock of extortionate customs charges that you're landed with if you make an order from overseas! One unattainable brand that I've been most eager to get my hands on, has been Milani, the affordable American favourite. Fortunately, Just My Look's Milani range is now available online, so they're products are finally more accessible for those of us in the UK! They kindly offered me the chance to try some of their products, so I picked the Conceal + Perfect Foundation and Make It Dewy Setting Spray. The Milani Conceal + Perfect 2-in-1 Foundation* has had amazing praise from many highly-regarded beauty bloggers, so I was expecting it to live up to the hype. Thankfully, it didn't disappoint. 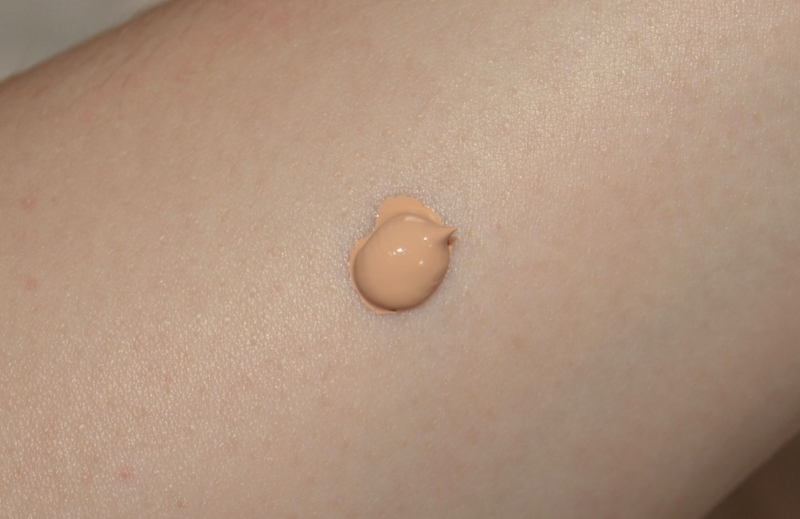 This foundation provides a generous coverage, towards the upper end of medium-full, and promises to be long-wearing, water-resistant and sweat-proof. All with a lightweight, oil-free formula. The quality that makes this base stand out from the rest, is that it's marketed as a 2-in-1 foundation and concealer. Realistically, any high-coverage, buildable base is bound to work well however it's used, so that's an unnecessary gimmick. Whilst Conceal + Perfect performs well as a full-on foundation, or alongside a lighter base to cover any blemishes and imperfections, I never use it to mask my dark circles. Preferring to apply a lighter shade under the eyes, to brighten any shadows, I always reach for a separate concealer no matter which foundation I use. For anyone on a tight budget, though, this versatile makeup hybrid can be used as one multi-tasking product. Consistency-wise, it's one of the thickest, creamiest foundations I've ever used. Less is definitely more with this one. To prevent it from sitting on the skin and looking heavy, it's crucial to apply this foundation in light layers. Although Milani recommend applying it with a brush, I find it works best with a damp beauty blender. Dipping the sponge in a tiny drop of product at a time and bouncing it over the skin, working from the center of the face outwards, creates the most natural, flawless finish and helps to avoid going overboard. The result can be flattering with a brush, but as the formula is so concentrated and doesn't spread very easily, I find it takes much longer to get it looking totally even and perfect. Because it's seriously creamy in texture, it doesn't start to set until a few minutes after application, which means it tends to slip around and can look slightly streaky when using a denser brush to blend it in. 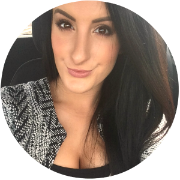 As this foundation is seriously intense, it instantly perfects the look of the skin on contact. Once it's well blended, the finish is totally seamless, flawless and glowing. Despite camouflaging redness and blemishes with ease, the finish looks so much more natural than you'd ever expect from such a high-coverage formula. Obviously, it's not similar to a second-skin finish achieved with a water-based foundation or tinted moisturiser, as you can definitely see that you're wearing foundation, but the result is super smooth and even. Usually high-coverage foundations have more of a matte finish, but Conceal + Perfect feels and looks hydrating and dries down to more of a demi-matte, with a satiny sheen to it. It's not dry, powdery or chalky whatsoever. Thanks to the water-resistant formula, it lasts all day with incredible staying power, resisting sweat, heat and humidity. Even if I skip applying a primer first and don't bother setting it with powder, the longevity is seriously impressive. I imagine this foundation would suit most skin types. Mine is on the dry/dehydrated side and I love it, but I also know people on the oily/combination side that like it too. It may be slightly too heavy and matte for extremely dry and mature skin and, at the other end of the spectrum, the slight sheen it has may be undesirable for those with very oily skin. The formula is delicately scented, so bear that in mind if you're sensitive to fragrance. Unfortunately, the shade range lets the Conceal + Perfect foundation down, massively. The palest options aren't particularly light and the entire range seems to lean very yellow and golden-toned. 00 Light Natural is only just a match for my skin-tone and, considering it's the palest shade available, it would definitely lean too warm on very fair skin. The colour also oxidizes significantly after application, which makes it even more of a nightmare! If I tried the Milani Conceal + Perfect Foundation without knowing the brand or £13 price-tag, then I'd guess it was a premium formula, so it's just a bonus that it's so affordable. I don't often say this about many products, but I'd be happy to pay even double the price for a bottle. The weighty glass bottle isn't ideal for travelling, but it has a pump, which keeps everything hygienic and mess-free. 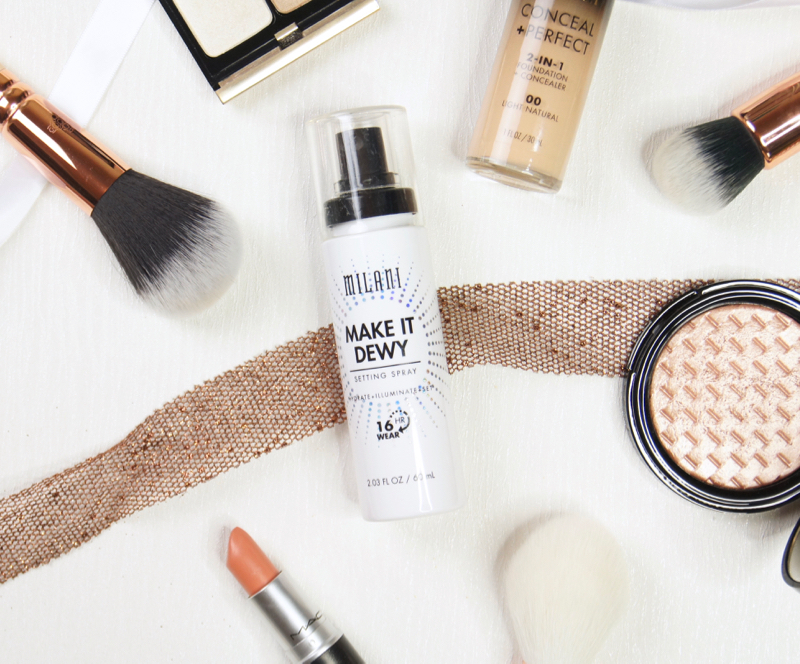 To go alongside the foundation, I also picked the Milani Make It Dewy Setting Spray*. Usually, I'm a setting spray snob. No cheaper mists I've tried have really impressed me and Urban Decay All Nighter is my holy-grail. I was hoping that Milani's Make It Dewy Setting Spray would be a hit, but I wasn't expecting it to be anywhere near as good as it is. As promised, this setting spray really does what it says on the tin and adds some serious dew to the skin. The spritz has a very fine mist, which is even more gentle than those from Urban Decay. It's such a pleasure to apply and feels instantly refreshing, cooling and hydrating, but that's pretty standard for most setting sprays. Despite being so lightweight, the mist adds a lot of glow and juiciness to the skin. I always get carried away and end up over-doing it with about ten sprays, but I never feel like I've gone too far and soaked my face to the point I've ruined my makeup. Taking a while to dry down, the mist leaves you looking quite glossy straight after use, but it does eventually absorb. Any powdery residues or areas of cakiness are corrected with a quick spritz, melding makeup mishaps and adding a subtle sheen to the complexion once it's settled. Once it dries down slightly, it really locks any foundation in place and keeps it looking fresh all day. If you don't want any extra shine and prefer more of a matte finish to your makeup, then the other setting spray in Milani's range, Make It Last, may be better suited to you. Both are priced at £13, which is still affordable, but I don't think they're as good value as the foundation, considering you only get 60ml. My only wish for this product, is that it would be available in a larger size. Whilst the 60ml plastic bottle is compact and lightweight for taking on the go, I'm worried I'm going to use it up far too quickly! 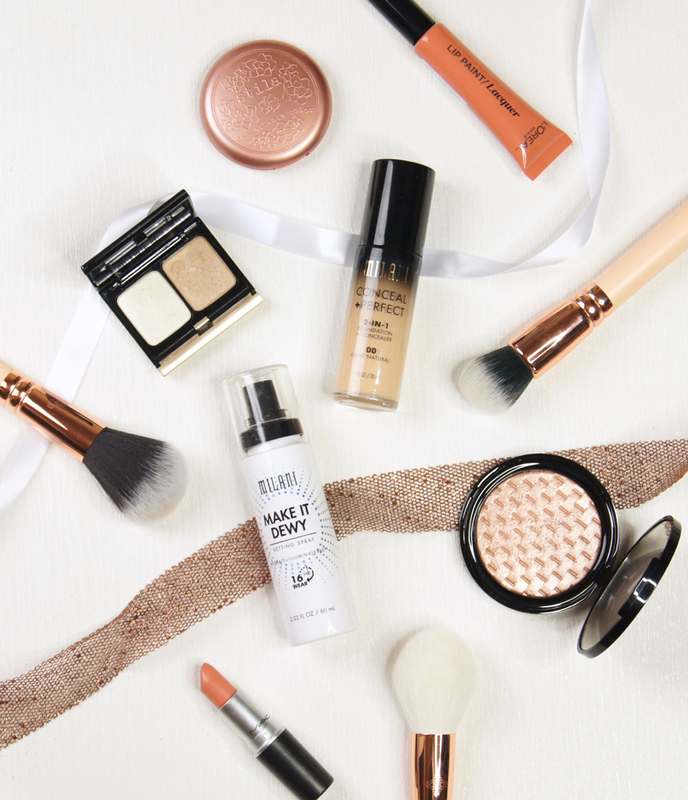 It's important to note that the Milani range is more expensive to buy here in the UK, compared to if you bought the products directly from US drugstores or websites. Fortunately, as the products are really high-quality and so affordable to start with, the prices don't work out as super expensive, even with the exchange rate. Considering I'm not planning a trip across the Atlantic any time soon, I'll stick with getting my supplies from Just My Look, for now. 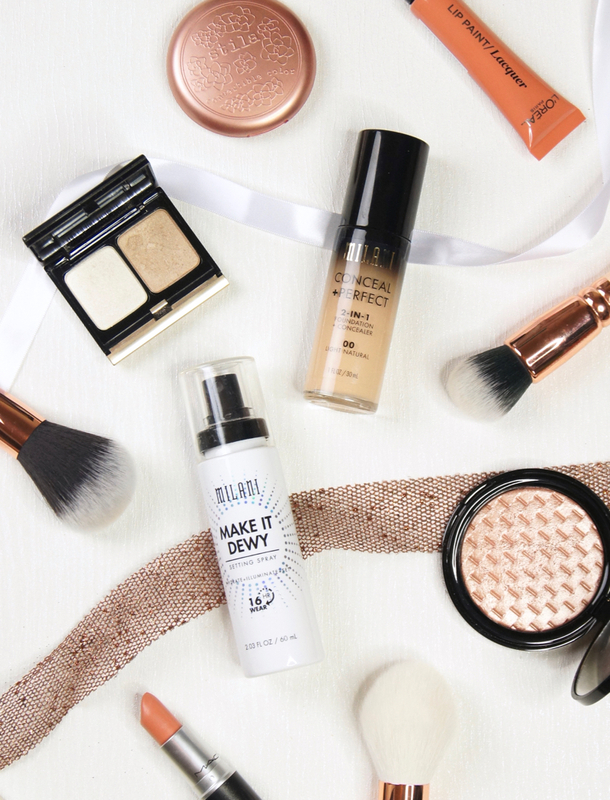 Have you tried the Milani Conceal + Perfect Foundation or Make It Dewy Setting Spray? I've used Just My Look before to purchased some LA Girl products, had no idea they stocked Milani, definitely popping over to take a look! 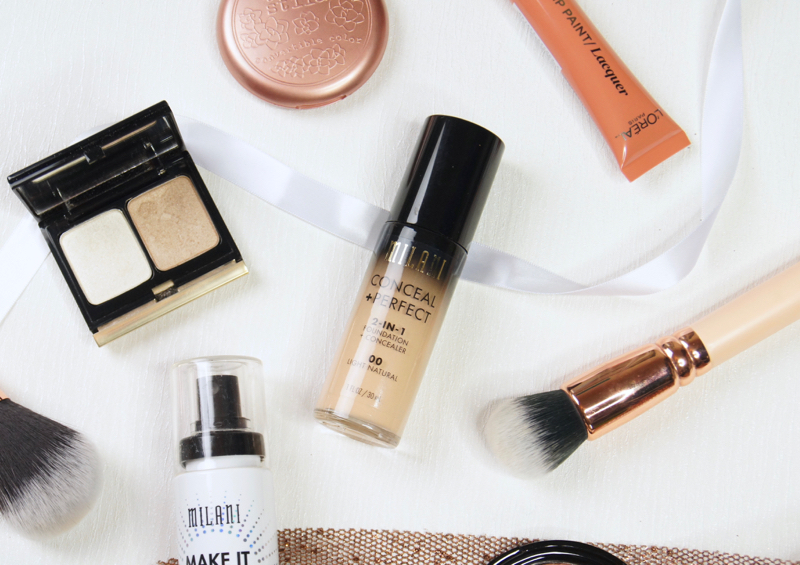 I have never tried Milani products but I think I will have to give this foundation a go! I'll pop it on my list for when I go on hols!